on a recent trip down I95 i stopped to fuel up at a very interesting gas station/store/everything and inside they had a whole rack of these vintage travels stickers. ten cents each! i got a bunch. they are cool. 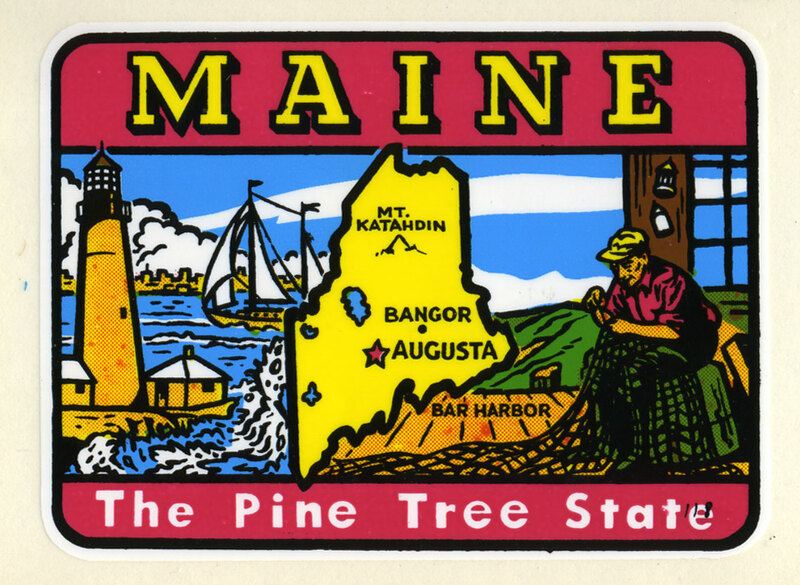 i din’t realize maine was the pine tree state. this ones for you p-frank.